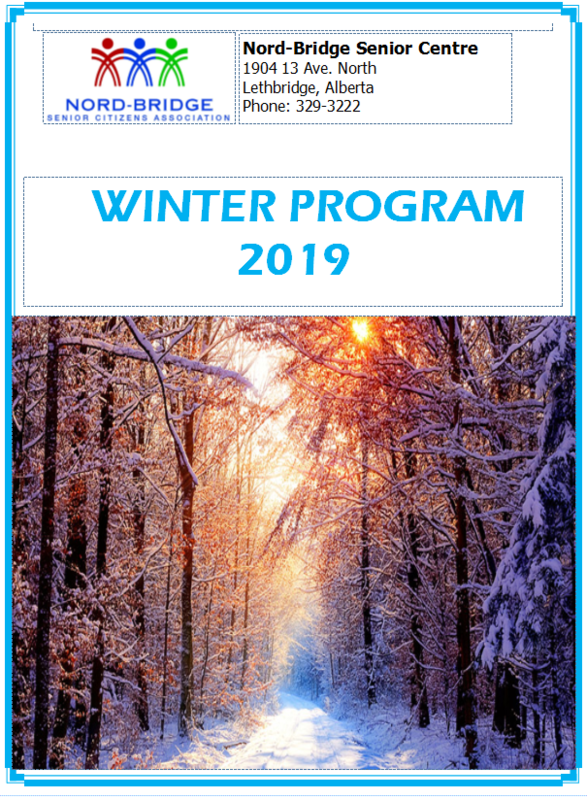 Educational & Life-Skills Programs – Nord-Bridge partners with various non-profit agencies, and institutions like the University of Lethbridge, Lethbridge College, Alberta Health Services and others offer classes and programs to members. Fitness & Socialization Programs – Programs are organized and administered for daily socialization and fitness appropriate for seniors. Some activities also interconnect and support participation in the Alberta 55 Plus Games and zone competitions. Fitness & socialization programs support general health and well-being. Keep-In-Touch Program – Daily phone calls are made by Keep-In Touch volunteers to seniors confined at home, and asking for regular contact. Visits by volunteers to members are also a part of this program. Monthly Outreach Program – The Outreach Program organizes socials and in-reach activities geared for isolated seniors. 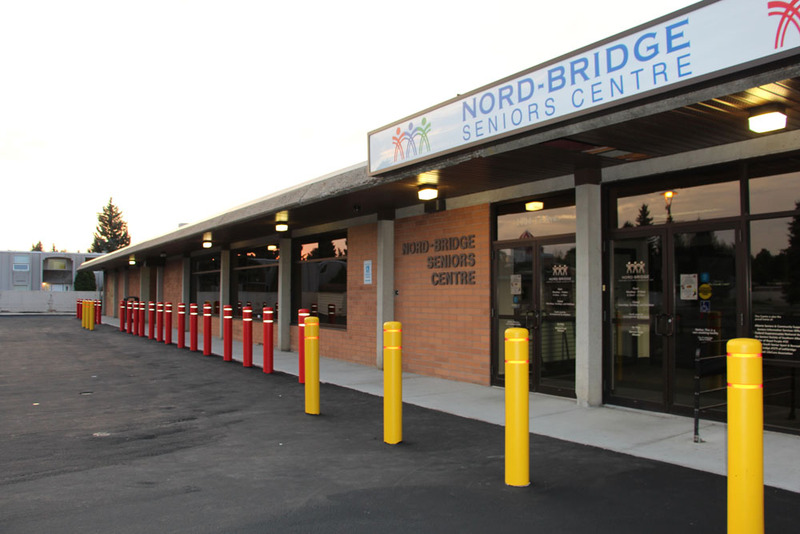 The Outreach committee coordinates its activities with housing and assisted living facilities, so transportation is available to Nord-Bridge for its monthly social. Hospital visits, get well cards and calls, and bereavement support for members is also provided as part of the Outreach Program. Please see the back of this booklet for dates of Outreach Socials. Social Programs – Themed luncheons and socials are planned for special events and occasions. Please see the back of this booklet for dates of socials and luncheons. Travel Programs – Day excursions and extended trips are offered to various attractions and Southern Alberta venues. Stop by our Travel Board beside the Dunford Diner for updates on trips. 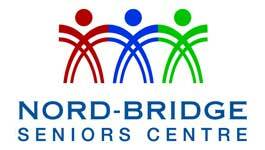 Volunteer Programs – Volunteers are the mainstay of the Nord-Bridge Seniors Centre. Offering volunteer service helps put knowledge and experience back into the community. If you would like a volunteer opportunity at Nord-Bridge, please leave your name at the Reception Desk.